On January 27, 1973, Unites States agreed to a ceasefire with North Vietnam allowing withdrawal of American military forces from South Vietnam. The agreement also included the release of about 600 American prisoners of war. On Feb. 12, 1973, three C-141 flew to Hanoi, North Vietnam, and one C-9A aircraft was sent to Saigon, South Vietnam to pick up released prisoners of war. The first flight of 40 U.S. prisoners of war left Hanoi in a C-141A, later known as the "Hanoi Taxi". From February 12 to April 4, there were 54 C-141 missions flying out of Hanoi, bringing the former POWs home, the total number of returned was 591. The return of the nearly 600 POWs increased the polarization of public and media. A majority of the POWs returned in Operation Homecoming were bomber pilots shot down while carrying out the campaign waged against civilian targets located in Vietnam and Laos. Many viewed the freed POWs as heroes, while others were questioning if treating these men as heroes served to distort and obscure the truth about the war. 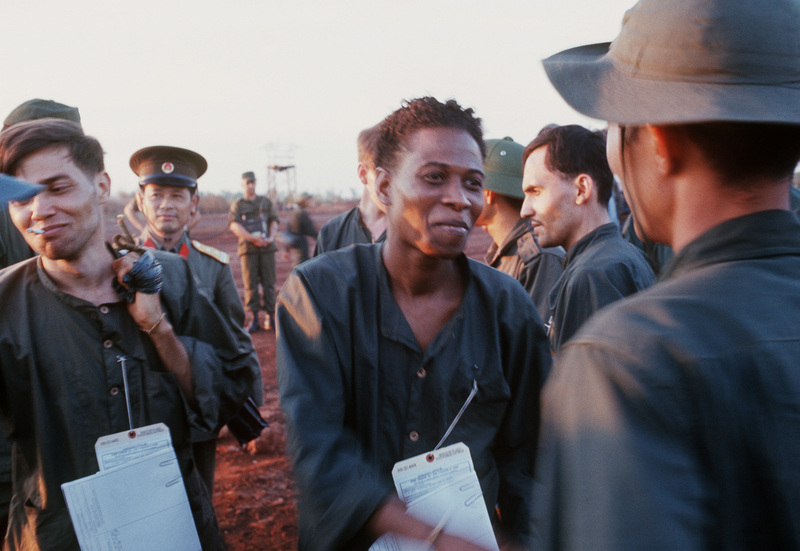 Some felt these men deserved to be treated as war criminals or left in the North Vietnamese prison camps. Many worried that Homecoming hid the fact that people were still fighting and dying on the battlefields of Vietnam and caused the public to forget about the over 50,000 American lives the war had already cost. Veterans of the war had similar thoughts concerning Operation Homecoming with many stating that the ceasefire and returning of prisoners brought zero sense of an ending or closure. Operation Homecoming has been largely forgotten by the American public.